Key West attracts a variety of different tourist demographics throughout the year based on a creative and culturally diverse events calendar. The Southernmost City is well known for its historic architecture, sunny beaches, the third largest coral reef in the world and huge party festivals like New Year’s Eve, Fantasy Fest and Spring Break. People typically expect the usual nightclub party scene, special restaurant menus and live entertainment during New Year’s Eve, but you’ll also discover a plethora of unique events found only on our island. 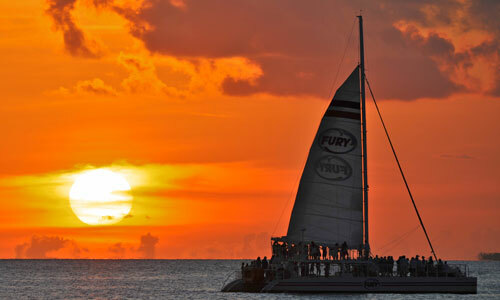 Fury Water Adventures offers two uniquely different ways to enjoy New Year’s Eve. Start your evening of celebration with one of their cruises; both options are tailored to different personalities and party experiences. 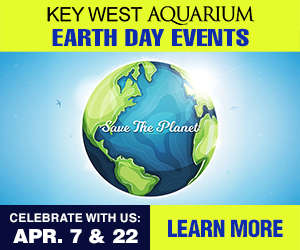 Choose from the Commotion on the Ocean Live Music Sunset Sail for party fanatics or the Glass Bottom Boat Sunset Cruise & Reef Eco Tour for families. We hate tooting our own horn, but the final Sunset Celebration of the Year is kind of a big deal. Gather around the nightly performers and get ready for some extra special celebrations. See magicians, jugglers and artists who captivate audiences with the glowing pink and orange sunset as a spectacular backdrop. Right in the center of the action on Front Street, the RoofTop will be offering an extravagant menu of Prime Rib, Lobster, Stuffed Shrimp and lots of other local favorites. Check out this upscale restaurant for a lavish night out on the town. Previous years’ have included a 3-course, prix-fixe feast featuring Prime New York Strip Steak, Snapper Oscar and Chateaubriand to name a few. 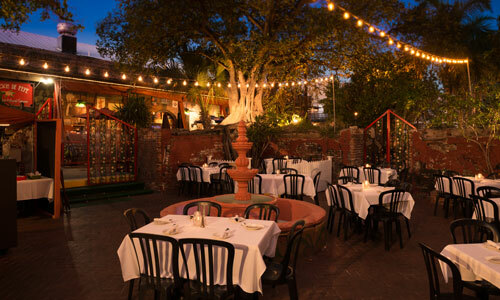 After the Sunset Celebration at Mallory Square, walk a block to El Meson de Pepe for traditional Cuban cuisine. It has been rated as the best Cuban food on the island for years. Recently, they also started a tradition for the “Cuban Cigar Drop” on New Years Eve. For an amazing view of the ocean and a softer side of New Year’s Eve, try this popular Caribbean-American restaurant on the south side of the island. Visit the Tall Ship America 2.0 and experience canon blasts that welcome in the New Year. See the Pirate Wench descend from the top of the ship while listening to some live music and enjoying the festivities at Schooner Wharf Bar. 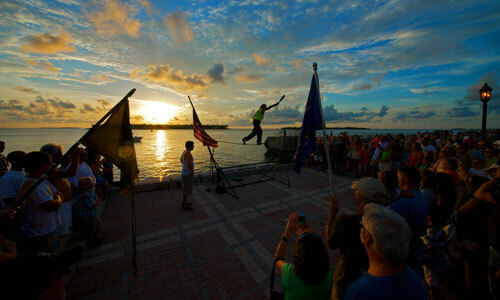 The wildest ball drop on Duval Street happens above Sloppy Joe’s, the most famous bar in Key West. Thousands of spectators gather to catch a glimpse of this annual tradition. If you’re not looking for a crowd, avoid this area at all costs because it’s like a small version of Times Square. From the balcony of the New Orleans House, Sushi descends in a giant red high heel shoe. VIP balcony tickets usually sell out within hours and Duval Street overflows with spectators who party into the wee hours. Join theChive crowd at The Porch for an unforgettable New Year’s Eve celebration. They’ll be dropping a Chive Unicorn at midnight and engaging in multitudes of tomfoolery throughout the evening. 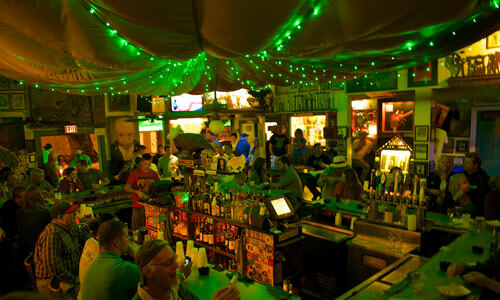 If you’re interested in the best live music bar for your celebration, meander on down to the Green Parrot, but get there early because space is always limited. They’ll be featuring Johnny Sketch on December 30-31. They’re a classically trained New Orleans funk band with lots of character. The Party Is On!